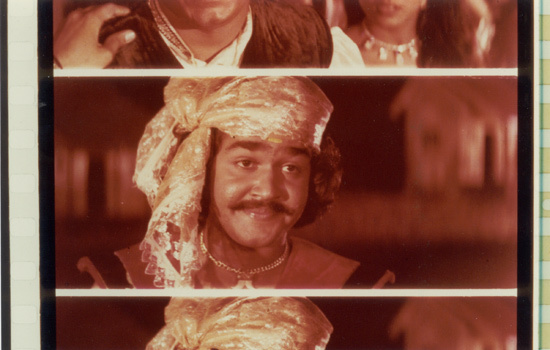 As requested by you herewith I am sending the details regarding the 70mm films produced in India. 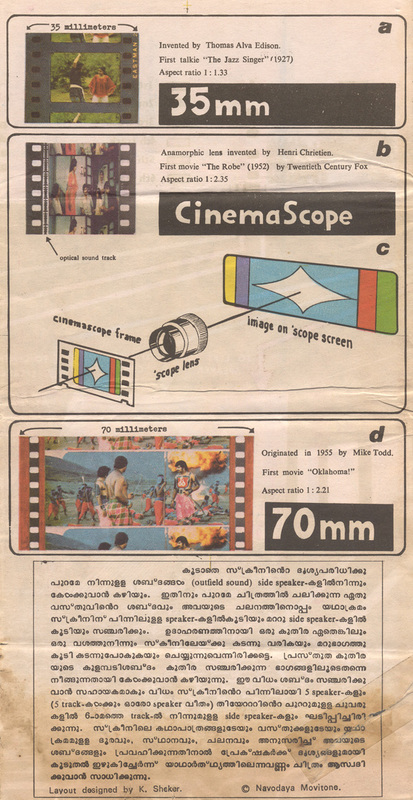 All films were originally photographed in the CinemaScope format and 70mm blow-up prints with Six-track magnetic stereo sound were made for theatrical release. The list might not be complete as I could gather only so much details and even that took me such a long time! 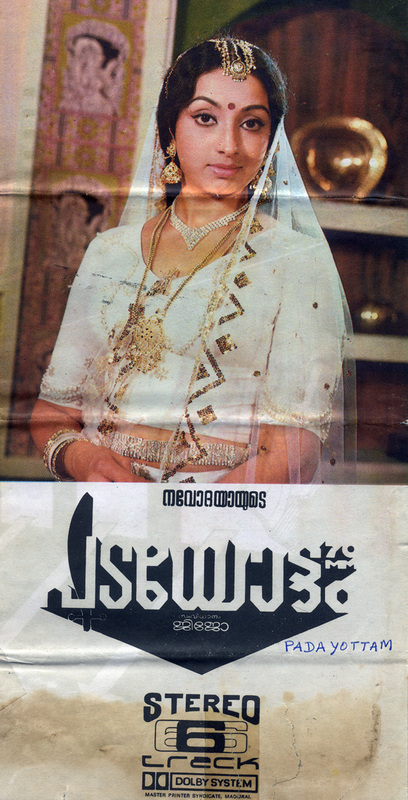 I am enclosing a film clipping from "Padayottam" photographed by me. 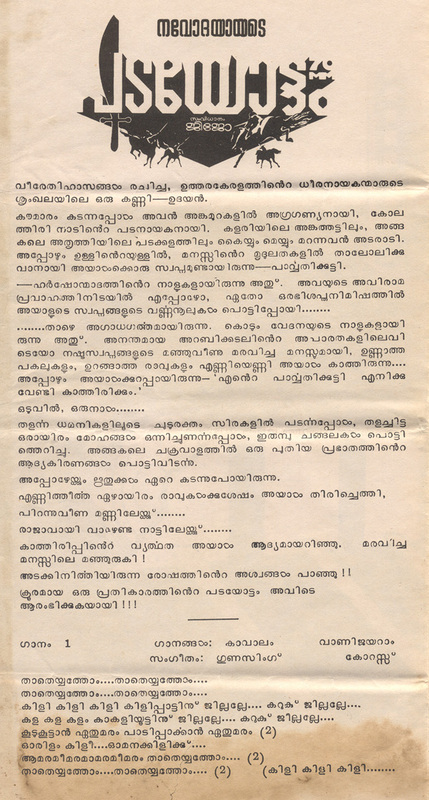 Also there is a song book of "Padayottam" in Malayalam Language which was meant to educate the audience about the various formats and how six track stereo sound is reproduced in the theatre. You will find also some information about the attempt to manufacture a 65mm Camera for the first time in our country. I hope the information provided will be of use to you and please do not hesitate to contact us for any thing you need. Thanks for remembering me and mailing me and also for putting my 70 mm frames and song book in your website. Unfortunately no more 70mm productions are being made in Indian film productions. There are no 65mm cameras in India as well. 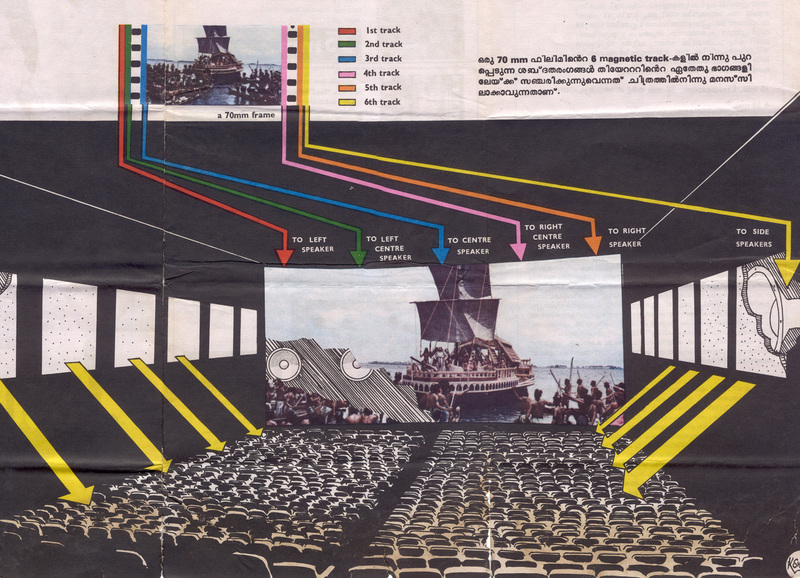 Though many theatres are equipped with 70mm projectors, they have to depend upon Hollywood productions for screening in the bigger format and as such, these films are rare. 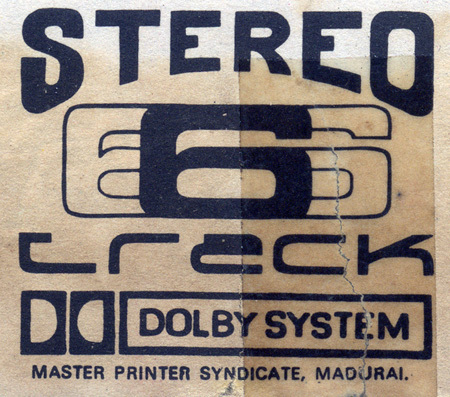 So 70mm screenings are NIL in the present day situation and even if you want to project one, you will find it very difficult as in many of them the sound systems will not be functioning well because of poor maintenance. Many of the bigger theatres are making way for smaller compact multiplexes and shopping malls. 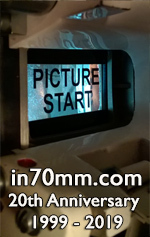 I congratulate you for keeping alive the past glory of the 70mm widescreen format during these days of digital imaging. Thanks for your Well Wishes. I too Wish you A Merry X Mas and a Very Happy 2014. 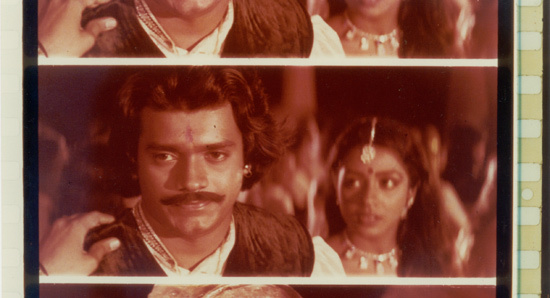 Coming to 70mm Films in India, certain things needs to be corrected regarding the First 70 mm Film of India which is "Around the world" (Hindi-Urdu) 1967 and not "Sholay" as I have mentioned earlier. 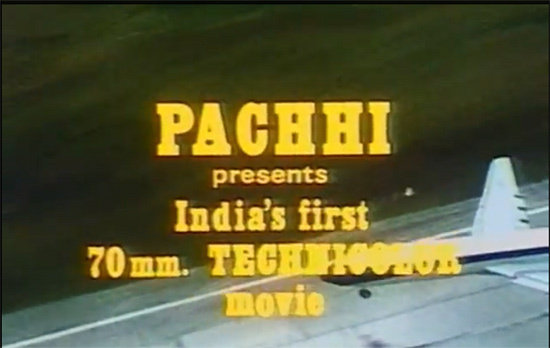 You can see it in the credit titles of the film, a screen grab which is attached with this mail. More information can be found at this link. I do hope this information will be useful to you for updating your site. 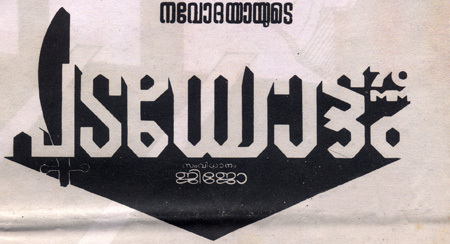 "Padayottam" Logo with 70mm logo - can you spot it? Only one camera was made, the one seen in the picture with the Steadicam mount was a prototype to which a Hasselblad lens was temporarily fixed. Can't we make cameras? The largest film producing country doesn't manufacture indigenous shooting cameras in various gauges of film. Yes we can make, and has gone one step ahead than anybody else can think of it. 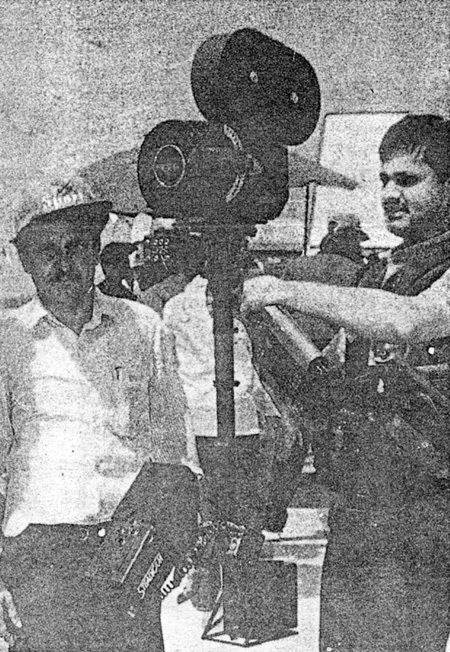 A young cinematographer Mr. T. V. Somasundaram with lot of ambitions and ideas burning inside all set started with small gadgets to supplement the needs of other cinematographers years back. He first started with the first set of vacum base with nylon grip cups and different cameras has donned his vacum base for chasing sequences, whether it is horses, cars, trains, under the carriages br over, or on sides and even at ground level. Years have gone thro' with lot of feature films shot with the help of Mr. T. V. Somasundaram. As cinematographer for hot and rugged sequences and still he is in demand for the same. His thirst for new inventions never had a stop with smallones. Seven years ago he started making a sixty five mm movie camera even the Westerners didn't think about. A camera with less weight, variable and constant motor in one, flexible eyepiece tube, and can be mounted on a steadicam where as the sixty five mm camera manufactured in western countries are huge in size and bulky in operation. (See technical details in box). Having tested with raw stock brought from London, exposed through Carl Zeiss lens of HASSELBLAD still camera, the results are very good in colourwise, sharpness form edge to edge vithout any grains formation. Still to improve in facilities, T.V. Somasundaram the inventor waits for further assistance financially and for some Technical parts to be imported for Betterment of the camera. All these years he has struggled to make this camera with his own remuneration he has eamed thro' his profession alone! With a good sponsoring for his completion of camera for operational use, India can be proud of manfacturing the first light weight 65mm Camera. Variable constant both O to 50 frames per sec.